Though The CW’s superhero shows are doing ridiculously good for the network—mostly thanks to that four-night crossover event—some of its non-superhero-related shows aren’t doing so hot. One of those shows is the costume drama Reign, which will now end after its upcoming fourth season. That comes from Deadline, which says the show’s producers were informed of the decision just as they were starting to film the season’s finale episode. Apparently, the network and the people who work on the show had been “having conversations” that this fourth season would be its last, so the writers have prepared a proper final episode to close out the season with. 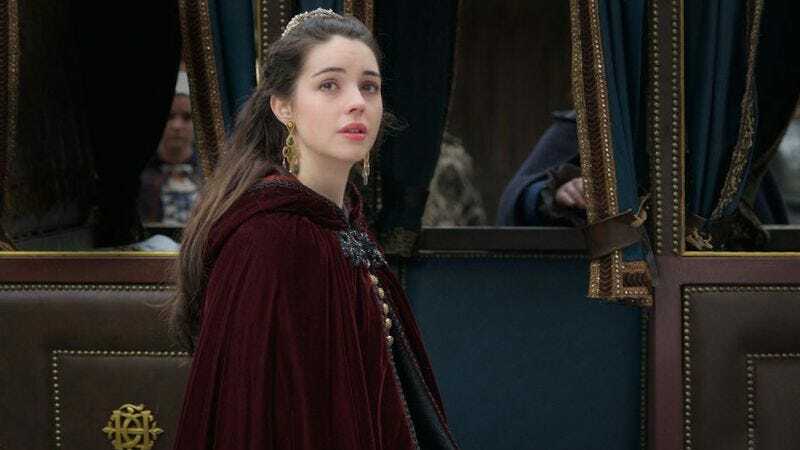 The 16-episode final season of Reign will premiere on The CW in February, and Deadline expects the last episode to air in June. The CW’s long-running Vampire Diaries series is ending after its current season as well, so it really is just a matter of time before all of the network’s shows are about superheroes.